Mobilize WordPress is finally here! 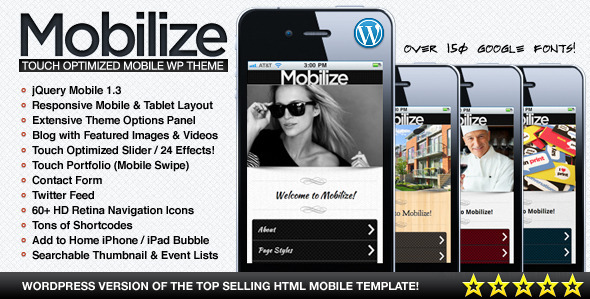 The long awaited WordPress version of ThemeForest’s top selling HTML mobile template Mobilize is here! Mobilize is a touch optimized mobile WordPress theme built on jQuery Mobile and is loaded with features. The homepage has a touch optimized responsive slider with 24 transitions (swipe with your finger! 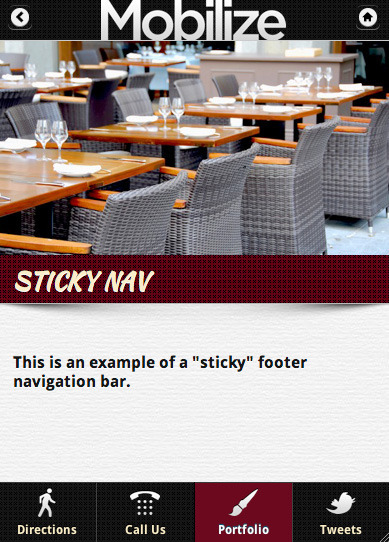 ), optional captions, social icons and more. The interior features a touch optimized gallery, contact form, blog with featured images and featured videos, tons of shortcodes and more. Four color schemes are included, and customizing colors is a breeze with the built in theme options manager. The extensive theme options manager allows you to choose from over 150 Google fonts, choose social icons, set blog options and more! 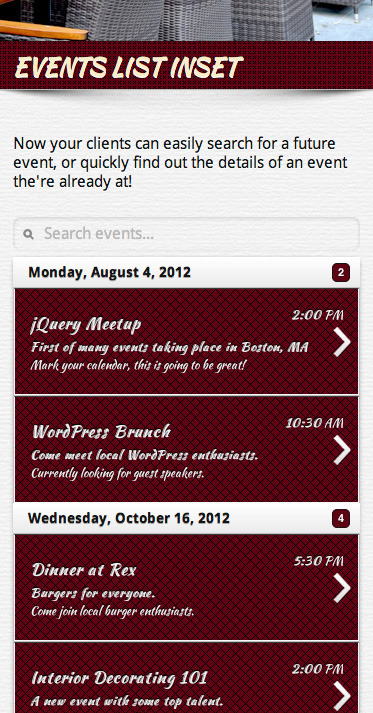 Check out the searchable lists, including thumbnail lists and events lists! Added: Option for the gallery to use default wordpress gallery images.